Fred Fabian, John Yudnich, Ray Dawson, Paul Salas, Bob Vigil, and Orlando Martinez with the Kinghts of Columbus pose for a photo. Ranoah Gonzales, Abbygail Valverde, and Hawk Lloyd agreed to model coats for this photo. 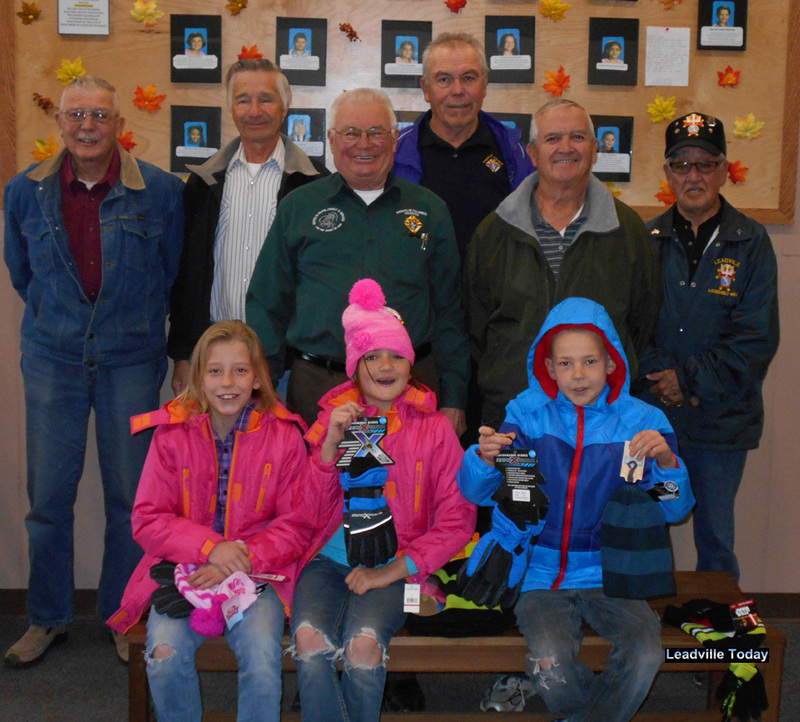 The coats, hats, and gloves were generously donated by the Knights of Columbus to help students stay warm this winter. We are so thankful for such a giving and caring organization right here in Leadville. They have supported our school with this donation for many years. Thank you!